Every offseason, there is much ado about the level of changeover from year to year in professional sports and the NFL is no stranger to that. Be it trades, contract holdouts, free agency signings or one-off, unexpected retirements, it is not uncommon to see some of the league’s best at their positions switch teams, call it quits or be shipped to another side of the country to play for another team. While we’ve covered free agency and the NFL draft plenty this offseason, even dipping into the 20 newcomers we expect big things from this fall, one thing that is seemingly forgotten after a few months without football, is the changeover at head coach of NFL franchises. First-year head coaches have made impacts in their debut seasons with their respective franchises for years, but what about those heading into their inaugural season at the helm of a new NFL team this fall? Nagy became the 16th head coach of the Bears after five years with the Philadelphia Eagles to start his career and most recently spending the last five with the Kansas City Chiefs. He is most notable for his offensive mastermind that turned the Chiefs and former quarterback Alex Smith into a downfield passing attack last season while also possessing the RPO play-calling ability coveted in today’s NFL. He seems more than suitable for the skillset that incumbent Bears QB Mitchell Trubisky possesses and demonstrated a strong ability with during his time at North Carolina. 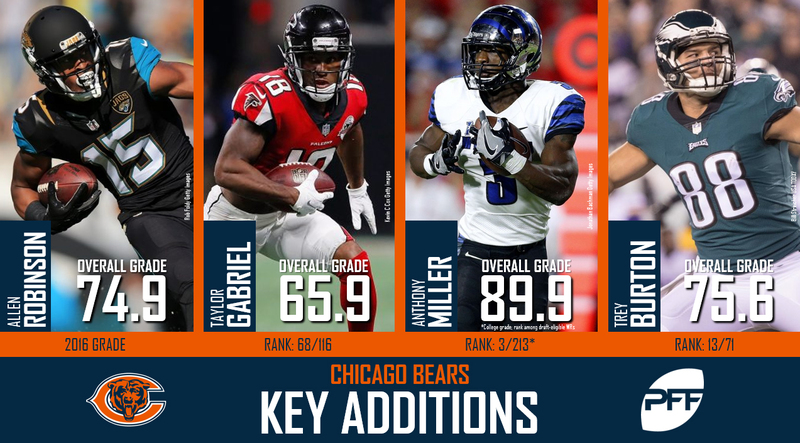 The Bears have brought in a bevy of talent around Trubisky and with Nagy’s mind, could unlock success that Chicago has not seen in a few years. Patricia headlined the head coaching changes this offseason entering Detroit after spending the past 14 seasons with the New England Patriots. Patricia is famous for his defensive mind as he spent the last six years as the defensive coordinator for the Patriots and brings a tougher mentality to the Lions this year. Patricia kept the offense roughly intact and retained offensive coordinator Jim Bob Cooter, who incumbent QB Matthew Stafford found success with last season. Patricia’s tough mentality brought in hard-nosed, talented offensive linemen Frank Ragnow to anchor the interior of their offensive line while also adding LeGarrette Blount and Kerryon Johnson in the backfield after finishing last in yards per carry as a team last year. Shurmur takes over in New York as he has spent the past 19 seasons in the NFL at various roles including two head coaching stints, one at Cleveland (2011-12) and the other as interim head coach with Philadelphia (2015). He most recently was the offensive coordinator for the Minnesota Vikings, creating one of the best supporting casts in all of football a season ago. Giants fans can expect a rise in Eli Manning‘s play-action passing this season as Shurmur’s offenses have historically utilized play-action passing at a league-high rate. In his first big task as head coach in New York, Shurmur passed up on a potential franchise quarterback to select Saquon Barkley, a player who is likely to make an impact this fall. Vrabel heads to Tennessee after a four-year stint as the Houston Texans linebackers coach and defensive coordinator, and a 14-year playing career. Vrabel employed a strong defensive presence with the Texans and like Patricia, brings that tough mentality to the Titans. Vrabel also brought in Matt LaFleur as his offensive coordinator after LaFleur spent last season in the same role with the Los Angeles Rams and their high-powered offense that includes an outside zone running scheme and a deep, downfield play-action passing attack. Fourth-year quarterback Marcus Mariota will have weapons at his disposal in LaFleur’s offensive scheme as they not only brought in Dion Lewis in the backfield but Mariota also receives the services of the returning Derrick Henry, Delanie Walker and second-year wideouts Corey Davis and Taywan Taylor among others on offense. Be sure to subscribe to our PFF YouTube channel for more exclusive content.